If you are thinking of coming to the festival, consider extending your stay to visit one of Europe's most beautiful regions with great possibilities of mountains, lakes, rivers, rolling meadows and pretty towns to explore within easy striking distance of La Roche sur Foron. Here is just a small selection of ideas to think about before you come. This was an important site for the French resistance to receive and distribute arms and ammunition dropped by parachute in WWII. A large monument now stands in memory of those who gave their lives fighting a rearguard action for the allies in 1944. 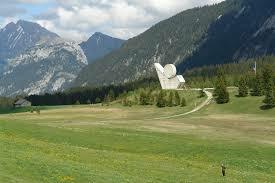 ​It is also a lovely place to visit and to go hiking. The cradle of skiing and mountaineering, this alpine resort lies at the foot of Mont Blanc, Europe's highest peak. Cable cars operate all year to reach the summit and the streets of the old town are a joy to wander along. You can also take the rack and pinion Train de Montenvers to see the 1900 meter high Mer de Glace Glacier and the ice cave. If you enjoy the outdoors, either as an active hiker or climber, or as a gentle stroller, this chain of mountains next to La Roche-sur-Foron is the perfect place for you, offering a mixture of steep climbs (some peaks over 2000 m), plateaus and rolling pastures. For more information ask at the Tourist Offices of Le Grand Bornand or La Clusaz. 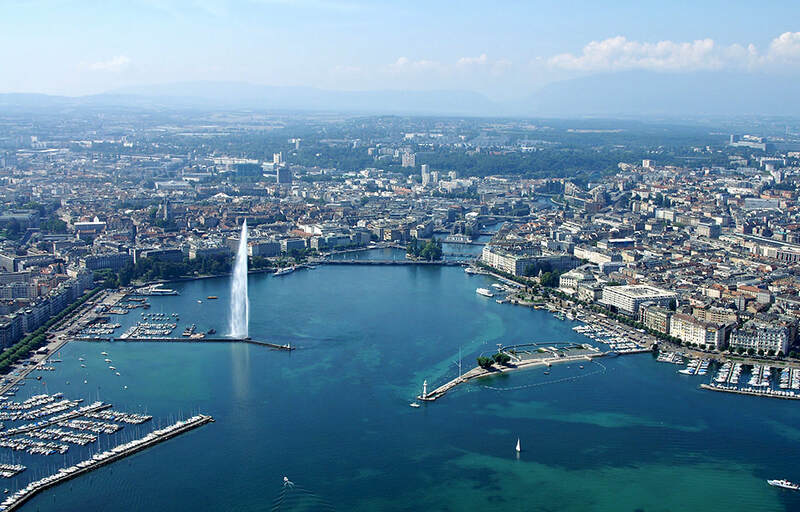 Take the cable car ride up the 900 metres to the top of "Geneva's mountain" to enjoy spectacular views over Geneva, the lake and the Jura Mountains. There is a restaurant and bar at the top, and a Buddhist temple. Possibilities to hike, mountain bike and paraglide. The beautiful town of Annecy, The Venice of the Alps, is a must see for visitors to the area with its pure lake, set against the backdrop of the Aravis mountains. ​Walk along the Pâquier and enjoy the views across the lake; soak up the atmosphere as you stroll through the streets of the old town, beside the canals and river (main photo); visit the castle perched above the old town, with its stunning views and museum relating the history of the Dukes of Savoy. ​One of the most beautiful towns in Haute Savoie, this medieval fishing village on the edge of Lake Geneva is a labyrinth of narrow streets and alleys that still retain some of the original 14th century fortifications. Switzerland's second city is famous for its fountain and for being home to the United Nations and the International Red Cross. It is also home to the European headquarters of many large corporations, making it one of the great international cities. There is much to do including walking around the lakeside, strolling through the old town or browsing the shops and bars of the Carouge village quarter. A bit further on from Geneva is the house Charlie Chaplin made his home for the last 25 years of his life. Walk through the beautifully preserved house with original furniture, waxwork models and a TV screen in each room showing home movies and newsreels. Visit the studio with scenes, sets and souvenirs from his most famous films. Sit in the garden and admire the views across the lake and the Alps.